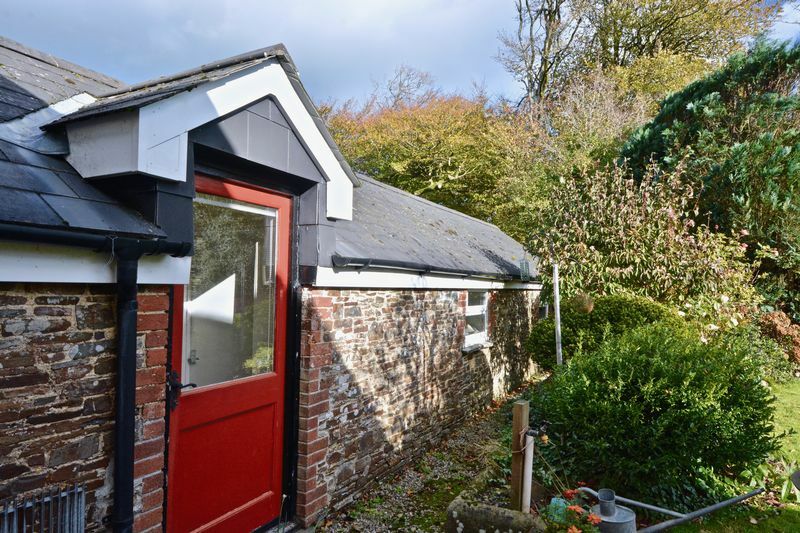 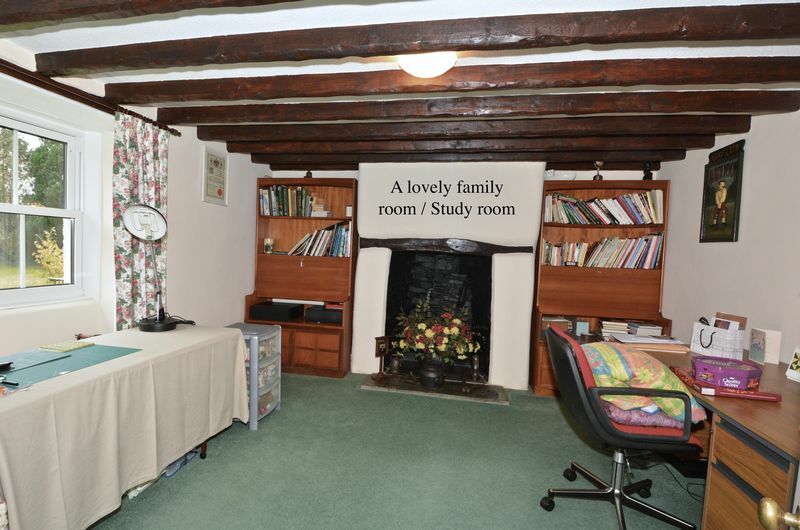 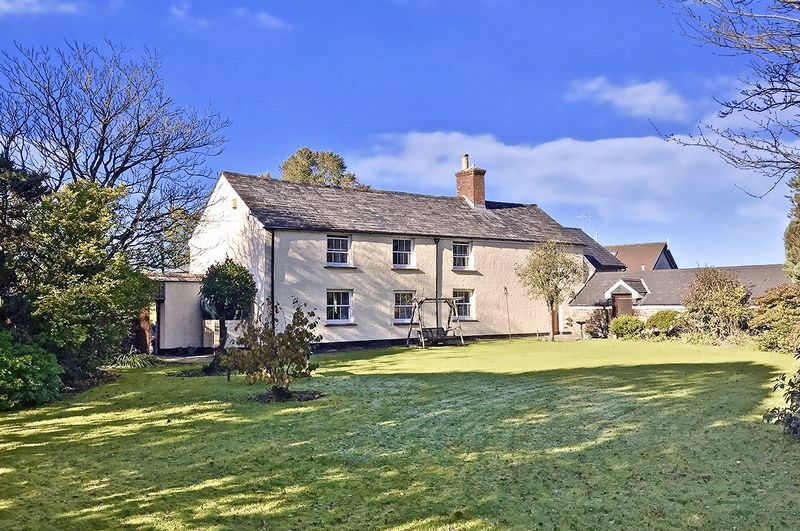 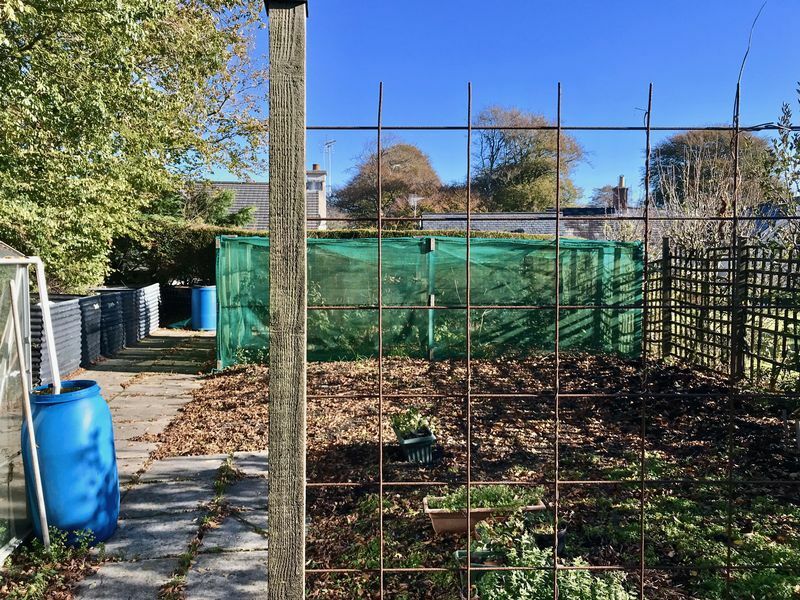 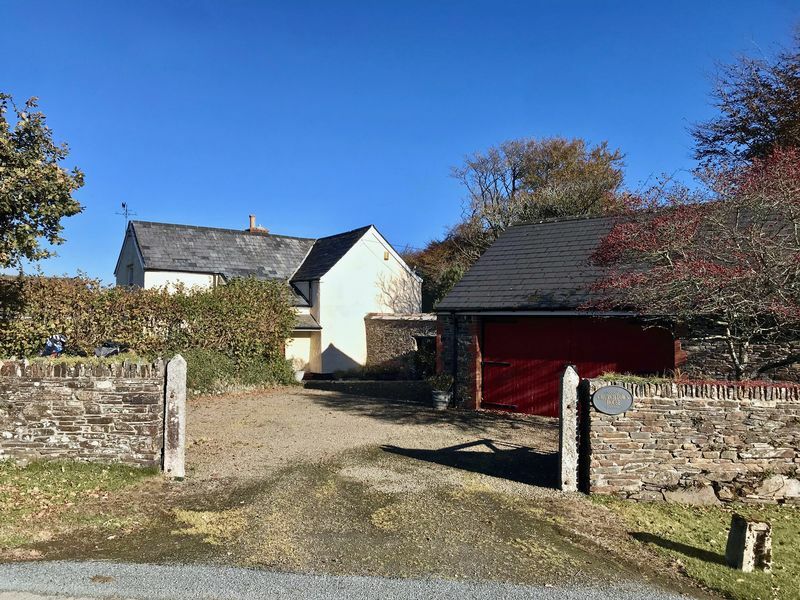 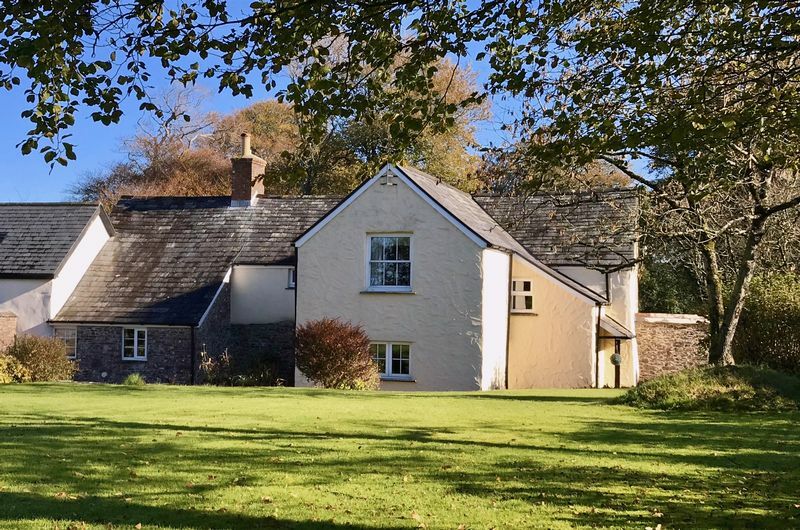 A delightful attached character property situated in this most pleasant village location, approximately 7/8 miles form the town of Launceston with access to the A30. 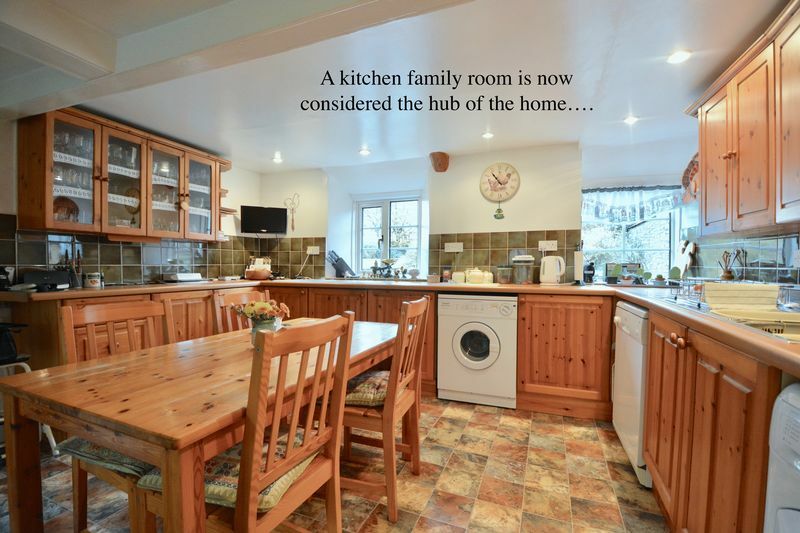 The property which has been occupied by the current owners for nearly 25 years offers well presented generous accommodation which in brief comprises: Entrance vestibule : Dining room : Large sitting room : Family room : Lovely family kitchen breakfast room with 'AGA' : Rear lobby/utility area : Downstairs bathroom : Log store : Workshop barn providing a wealth of uses. 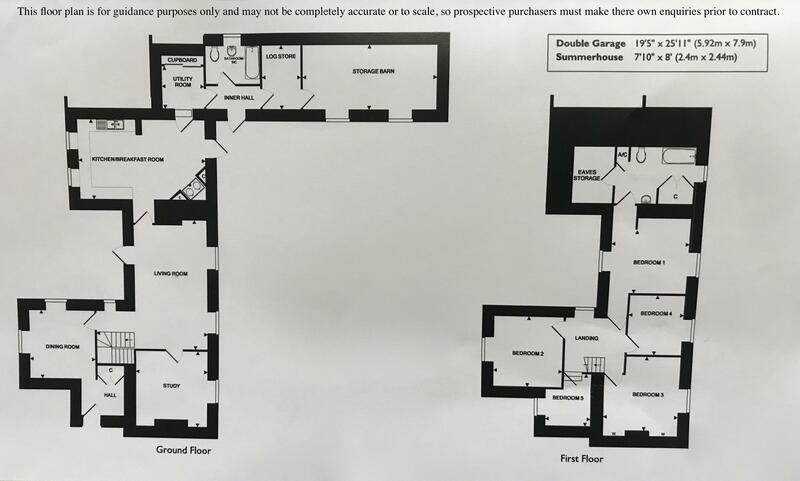 To the first floor are five bedrooms (with small bedroom on half landing) and En suite bathroom to master. 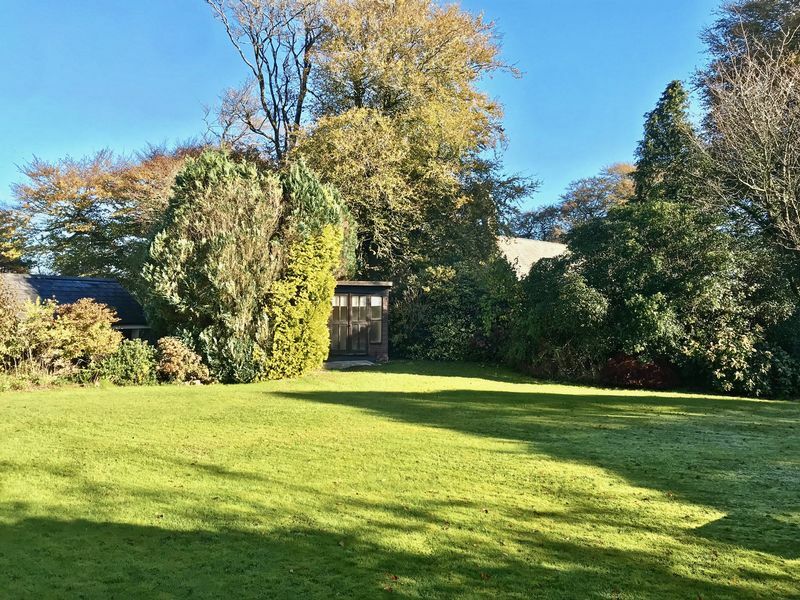 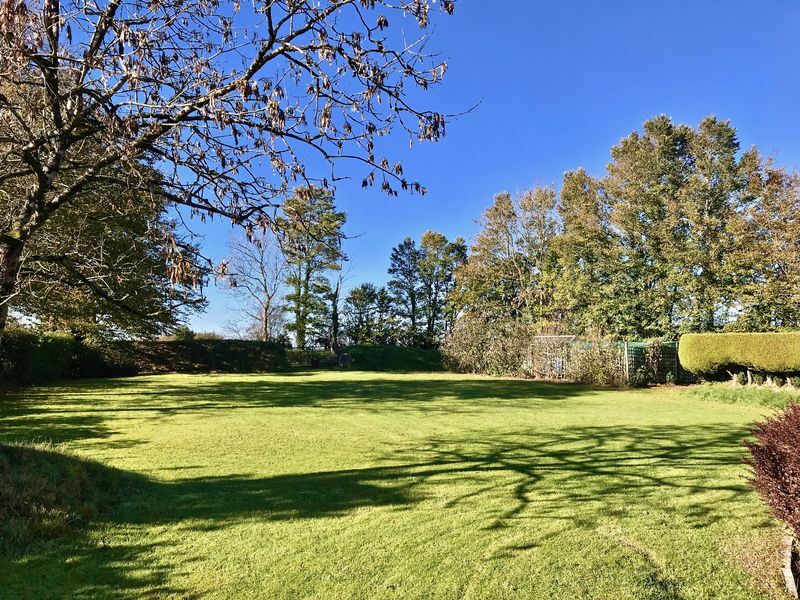 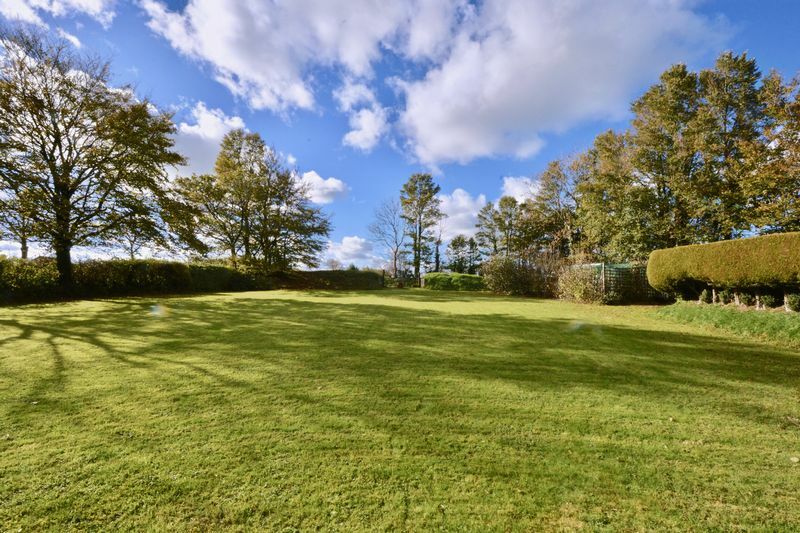 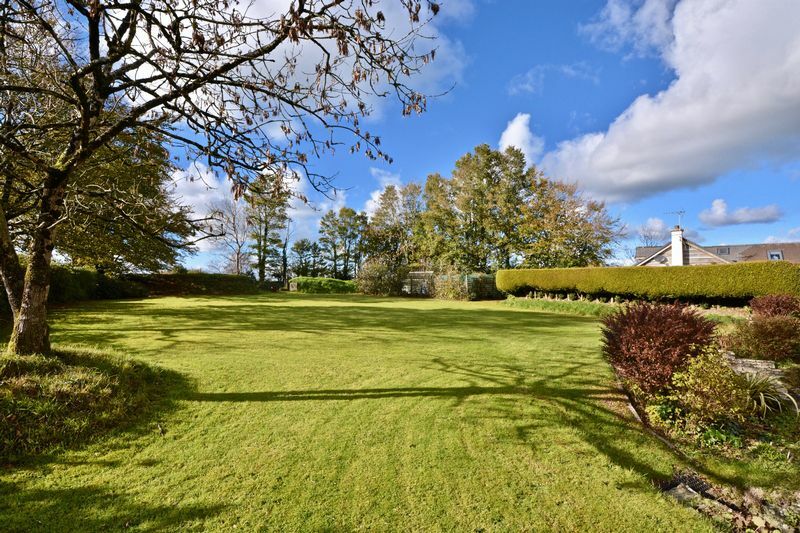 Outside the extensive gardens extending to around 3/4 acre * located to both front and rear predominantly laid to lawn with a wealth of planting and vegetable plot. 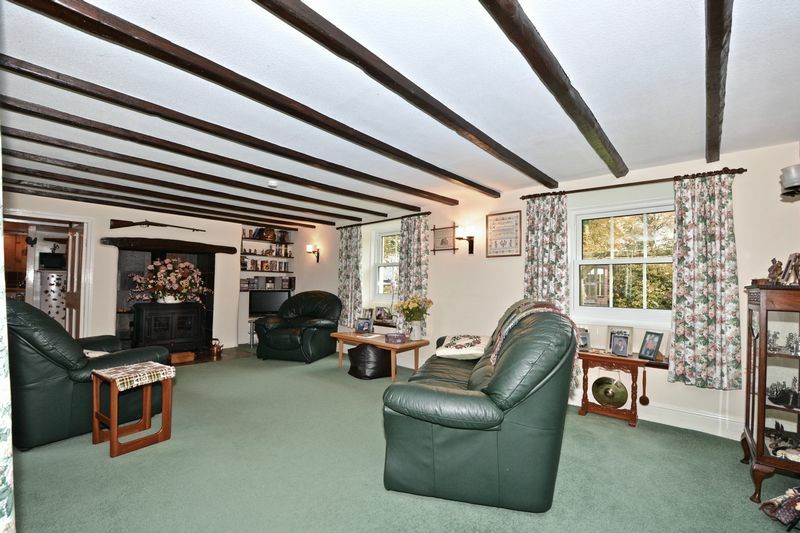 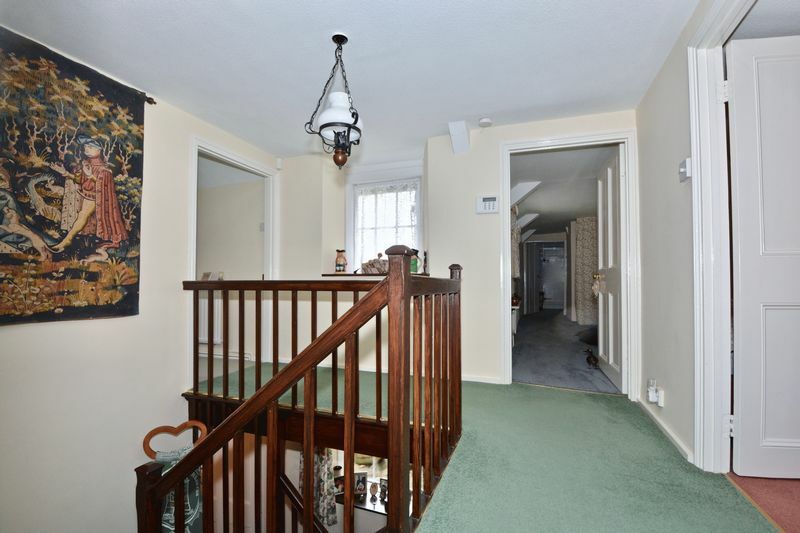 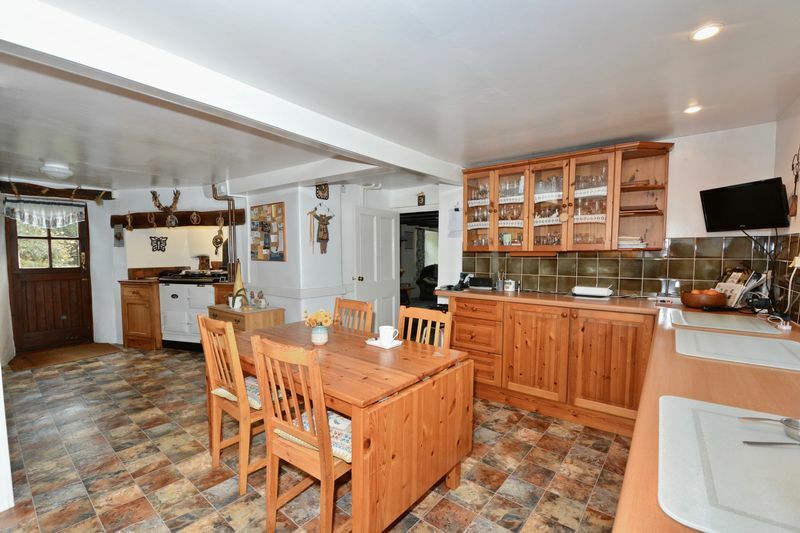 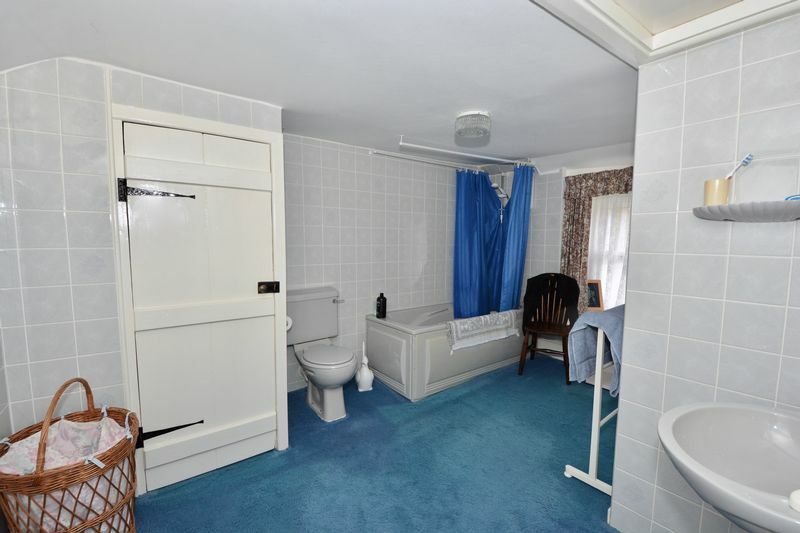 To the side is ample parking and siting of a large DETACHED DOUBLE GARAGE (as pictured). 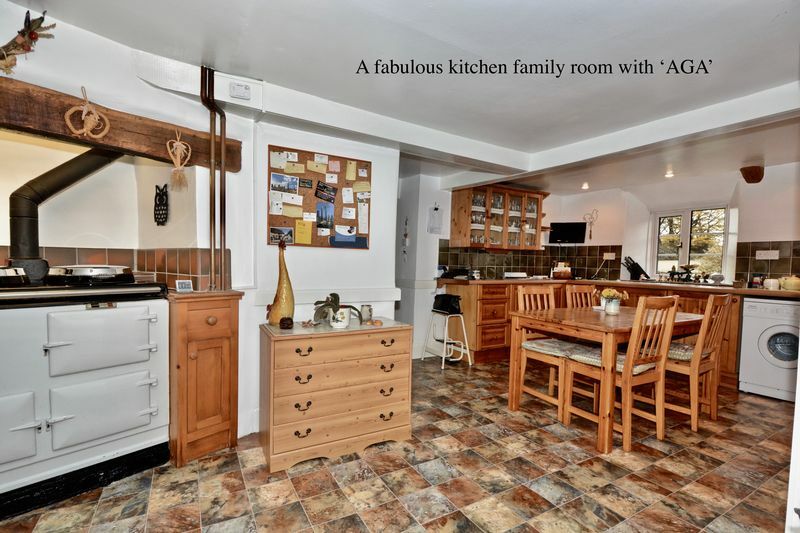 This delightful home will suit a wide range of buyers particularly, those looking for the country life with the benefit of easily accessible amenities. A lovely spacious reception area with cupboard storage. 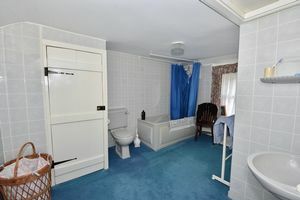 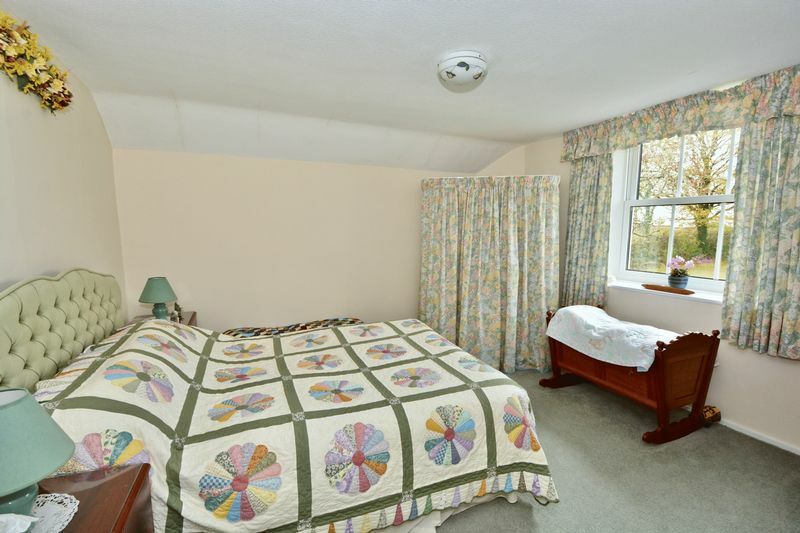 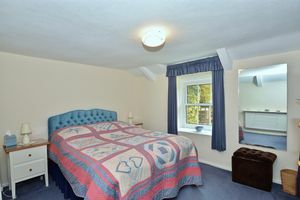 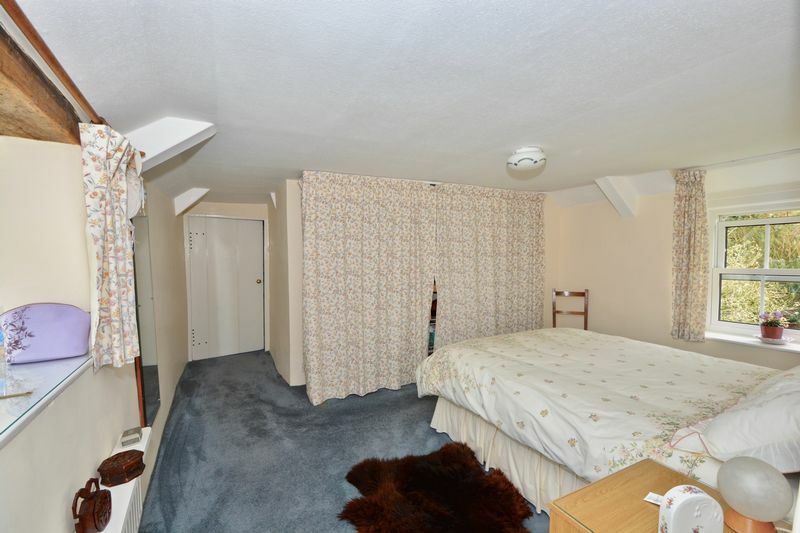 A lovely room with a dual aspect overlooking the gardens. 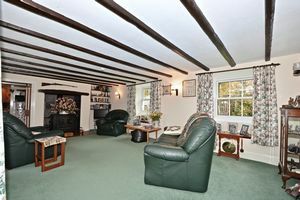 Large fireplace with wood burner. 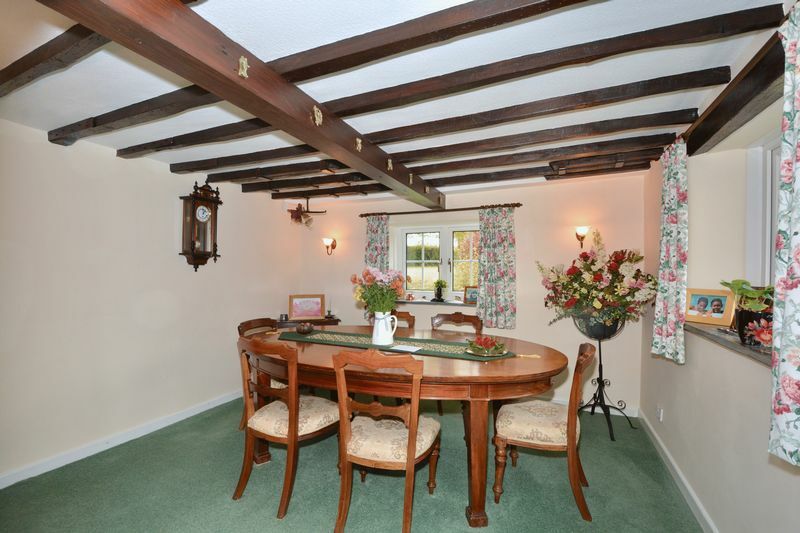 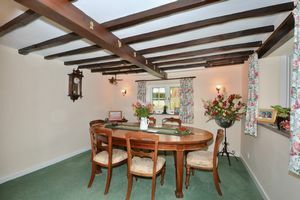 Could also be easily used as a dining room or a lovely second second sitting room with fireplace and outlook over garden. 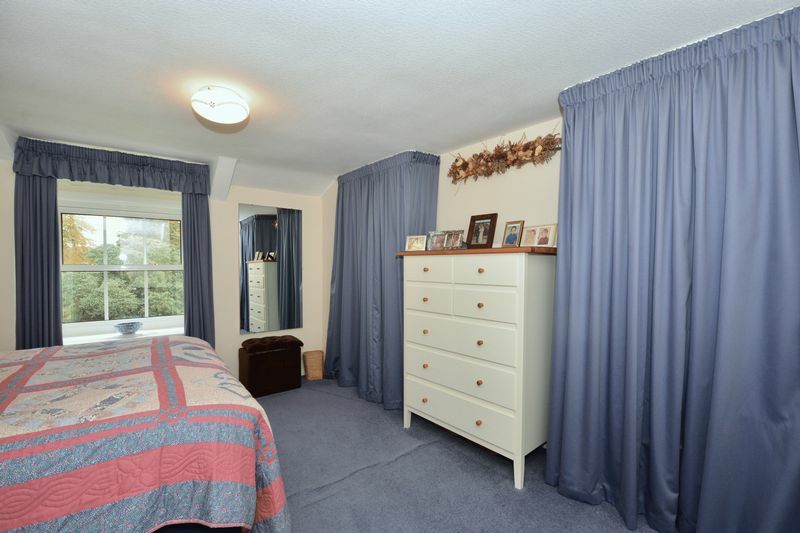 A fabulous room with ample space. 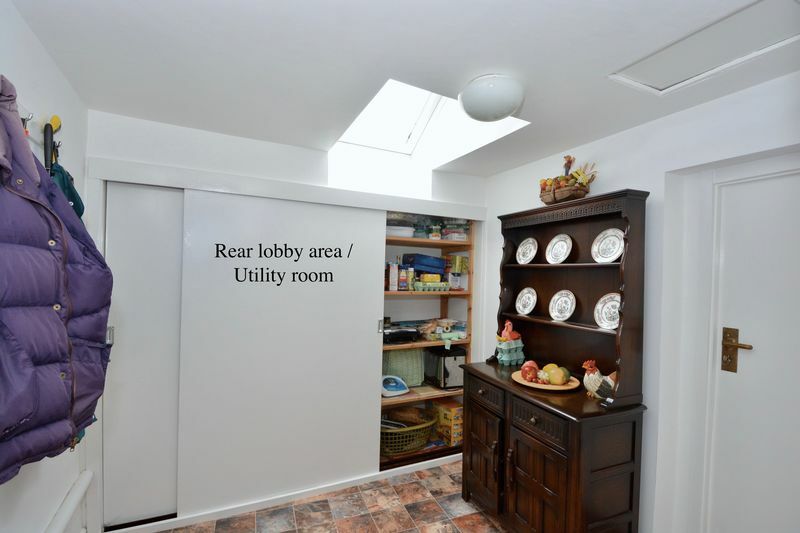 Good cupboard storage space for breakfast table and chairs. 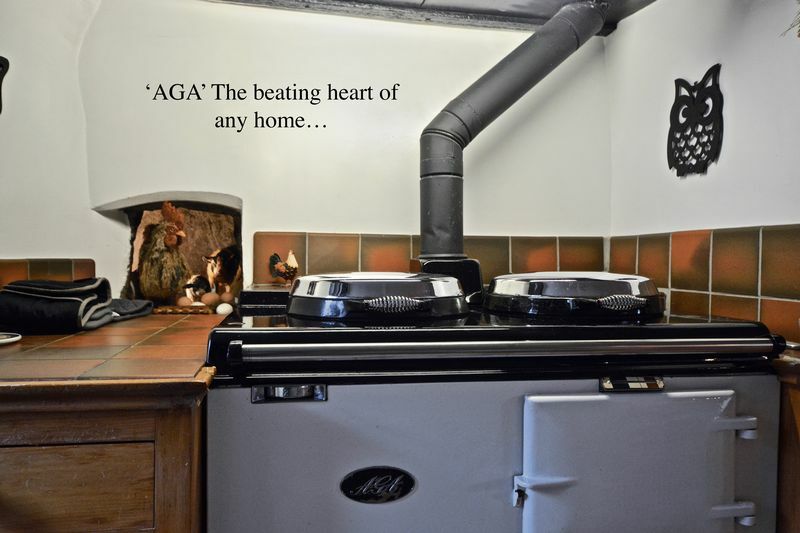 'AGA' set in recess. 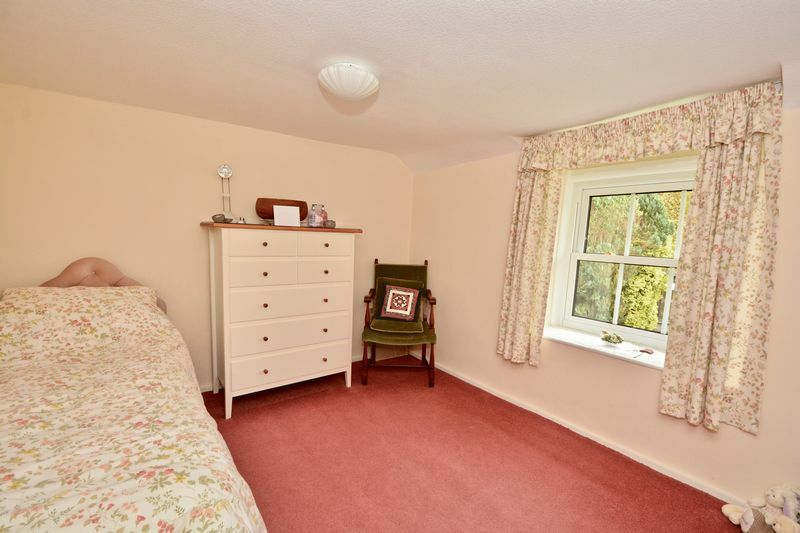 A charming small bedroom perfect for very small visitors. 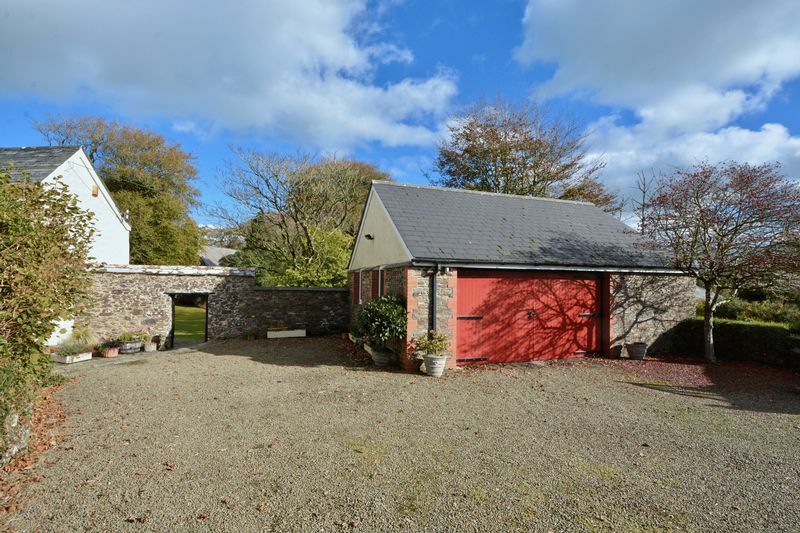 double opening gates lead onto a generous parking area for numerous vehicles. 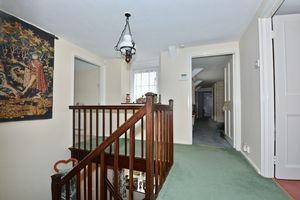 From here is access to the front entrance. 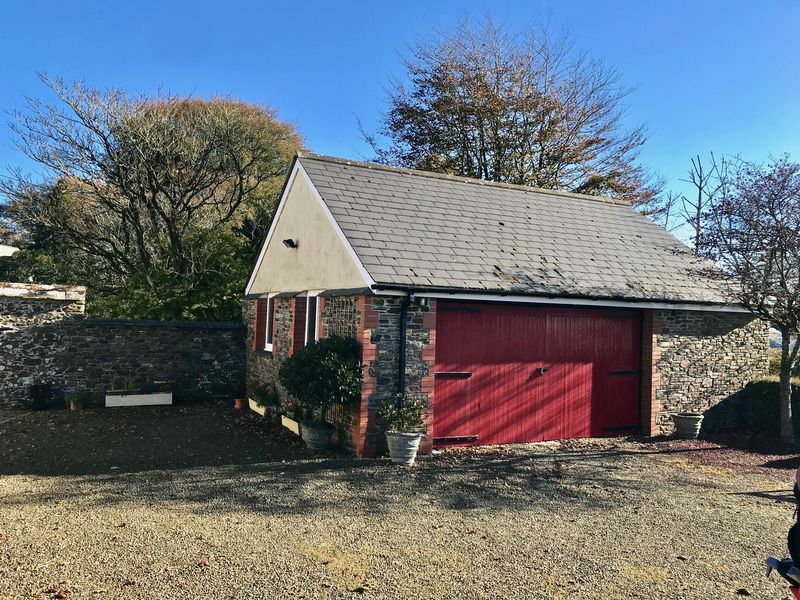 Front and rear gardens and garage. 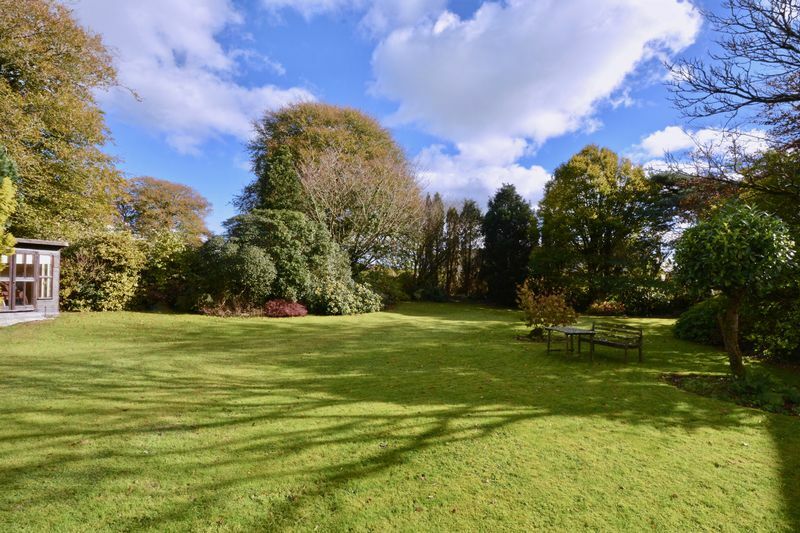 The extensive gardens (as pictured) are predominantly laid to lawn with a wealth of planting and natural borders and Devon banks. 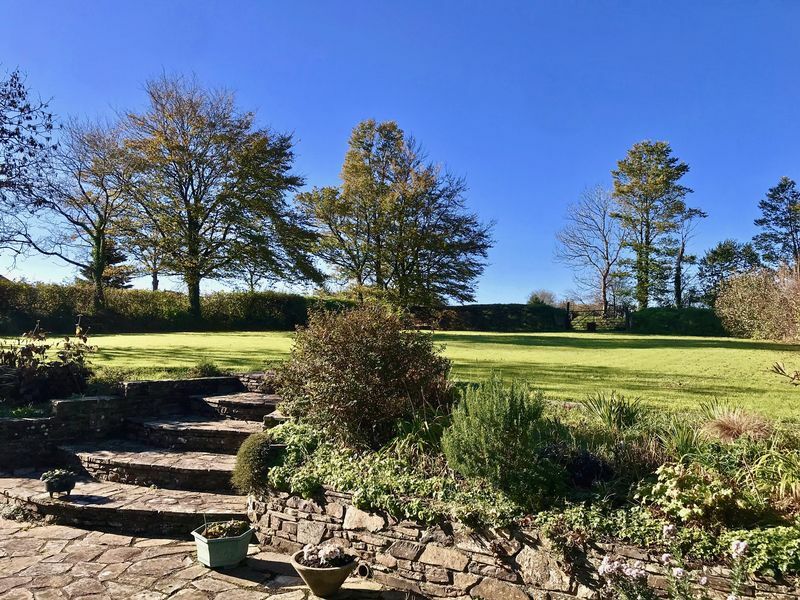 Directly adjoining one side of the property is a substantial stone paved terrace proving a most pleasant and secluded position overlooking the garden. 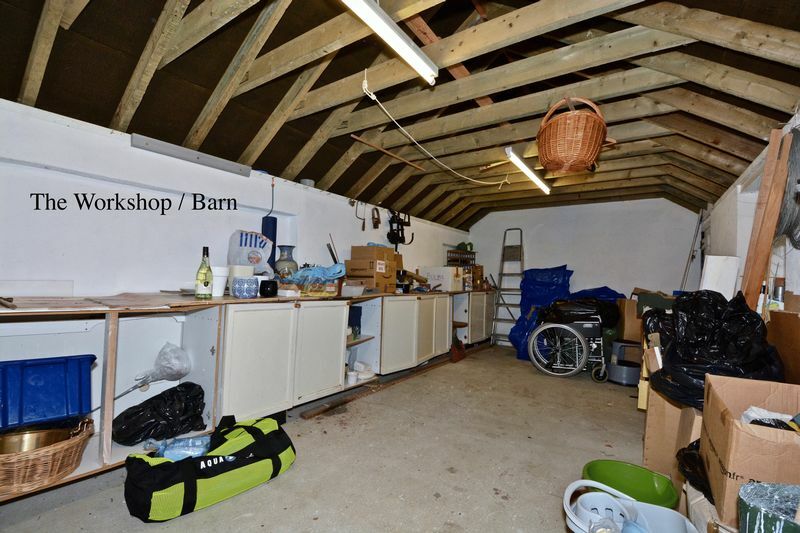 A very large space for two cars plus or great workshop space with the benefit of a power light connected.